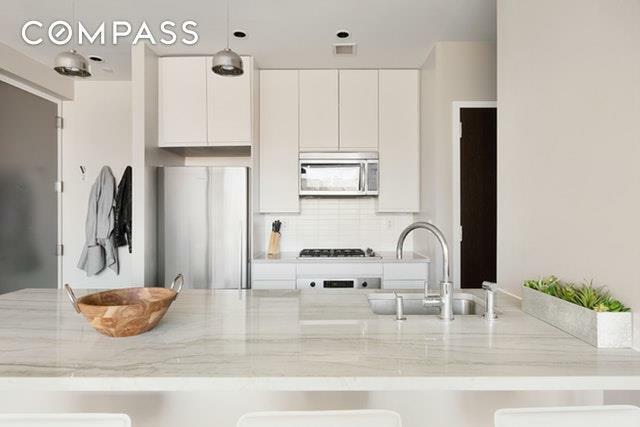 Stunning floor to ceiling sliding glass doors open your wall up in this gorgeous 1 bed, 1 bath condo in Williamsburg. 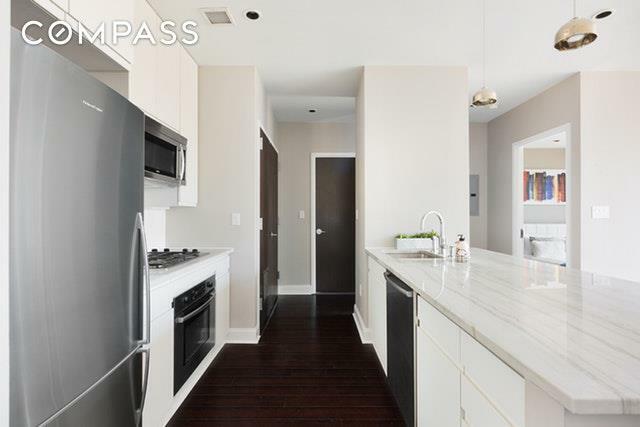 Close it up on a cool cozy night, or open up to expand sunshine seating area in the living room, or escape in the shade in the afternoon... how many other apartments have you seen with a wall that opens to the terrace? Additional terrace landscaping includes custom-made plant boxes adorning your private outdoor space. The wall opened up also lets way to unobstructed NorthEast views. 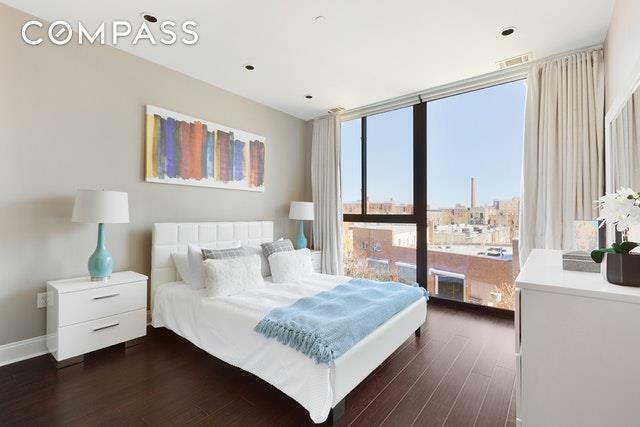 Want unobstructed views of the Manhattan skyline? Just had up to the shared roof where you can enjoy those, too! Further non-negotiable boxes this apartment checks: central AC and gas heat, with Wi-fi controlled Ecobee thermostat, washer/dryer in unit, private storage in the basement, and very pet-friendly building.This gorgeous apartment reaches toward the sun and the stars, sitting on the top floor of a boutique condominium. The space size offers 710 square feet of interior living space, a 112 square foot private outdoor, and Halogen recessed lighting with dimmers, and solar shades. The modern kitchen offers quartzite countertops, custom cabinet lighting, stainless Bosch and Fisher- Paykel appliances. The bedroom is spacious and also offers wall to wall windows. Escape to sleep in the large bedroom with closet build-in's including wood-trimmed adjustable shelving. The bathroom is a designer bathroom, finished in porcelain tile and a Pietro Cordosa stone vanity. 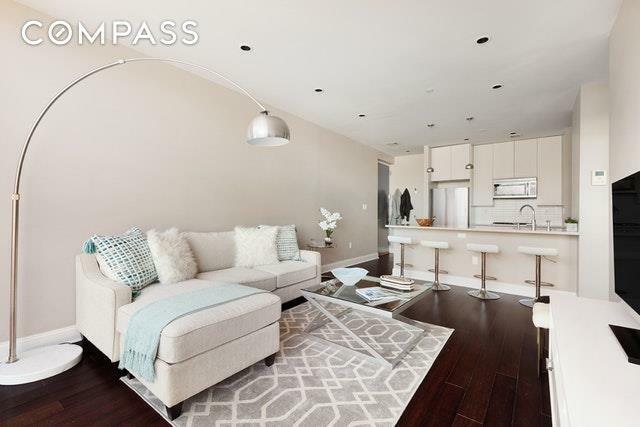 With its hardwood floors throughout, great closet space, washer dryer in the unit, common roof deck, and storage space... this apartment offers all the conveniences one would expect in a sophisticated urban condominium. Cherry on top? Extremely low monthlies.Steps to Graham Avenue, it's located near East Williamsburg's finest amenities and is just a few minutes to Bedford Avenue and McCarren Park. Three blocks to the L train, you can easily be at Union Square in ten minutes. Listing courtesy of Brandon Bogard of Compass.